Can’t get enough Zumba? Alabama folks love this amazing fitness trend that turns every movement into a body-shaping exercise to help you reach your goals. It’s a fun, trendy way to work out, especially if you want to make every second you spend exercising count. 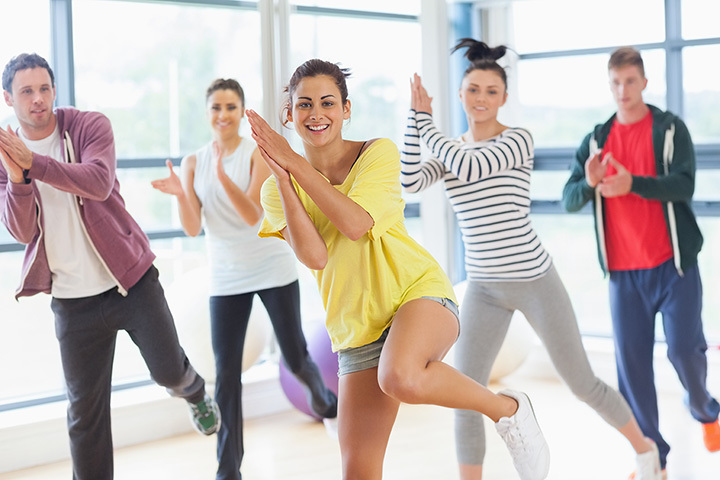 Grab a friend and get your workout on at these 10 best Zumba classes in Alabama. Zumba is just one of many classes offered at this mega fitness center, but it’s a favorite for a reason: it’s fun, effective, and always feels like you’re among friends. They offer child care services so busy parents can squeeze in a workout whenever their schedule allows. You can also take advantage of on-site tanning, massages, and a fully loaded health bar for an after-workout treat. This all-in-one training studio offers several Zumba classes to suit your schedule, and all skill levels are welcome to join. With your membership, you can work out anytime, day or night, to help you reach your fitness goals even faster. They’re not short on amenities here, either—a full locker room, showers, smoothie bar, tanning, and more are just a few of the things you’ll want to take advantage of. Touted as the best kept secret in the city, you’ll find so much more than your typical Zumba class. The instructors really care about helping you learn the moves and perform them correctly so you can get the biggest benefit for your time. They also have a delicious fresh smoothie bar to refresh you after class. This Alabama-only collection of gyms are perfect for every age and skill level. Your membership includes access to the Kid Zone, where kids can exercise both mind and body while you work on your own fitness goals. Keep in mind that Zumba may not be available at all locations. Multiple locations in Alabama mean multiple ways to get your Zumba on. All Zumba classes are led by professionally certified instructors who can help you get the most benefit from every session. They also feature special Zumba classes specifically for toning. This total fitness center offers a little something for everyone, and Zumba classes are a big part of what they do. Hosting a variety of class times each week, there’s usually one to suit your schedule. Join the traditional Zumba fun, or opt for a low impact version in Zumba Gold. Zumba classes are happening almost every day of the week here. You get the benefit of participating with a group to keep spirits high and motivated throughout the workout. Child care is included in the membership price, so you have one less excuse to get into shape. This place has possibly one of the best varieties of Zumba dance available. You’ve got your pick of low-intensity Zumba Gold, Zumba Step, or classic Zumba to take your workout to the next level. There’s never a bad choice, though! Lasting about an hour long, Zumba classes here are nothing short of energetic. You can burn anywhere between 500 and 1,000 calories per workout, each one led by a professional Zumba instructor. This fitness center has a lot of other perks to offer, including child care, a barre studio, movie room, and countless pieces of exercise equipment—and membership grants you access to it all. If you’re looking for a no-strings-attached, great value Zumba class, you’ll find it here. Classes are just $3 each and require no long-term commitment. You can join a regular class once per week, or turn up your workout with a Zumba combo class once per month.